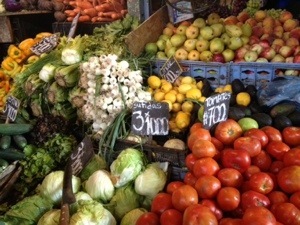 It’s no secret that La Vega is my favourite place to shop in Santiago, so it’s no surprise that it was going to turn up on this list of things that I love about living in Chile. 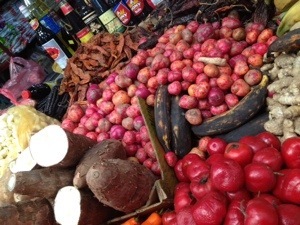 La Vega was literally my first outing in Santiago when I arrived this time around, now over a year ago, and I continue to frequent the market on a regular basis. The people, who originally beheld me with a level of curiosity, are now a little more open and talkative. 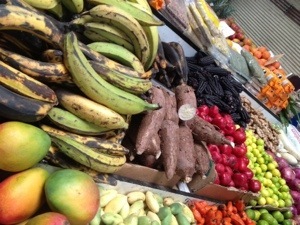 I have my regulars from whom I buy certain things, and others that I’m drawn to based on the produce on hand. In addition to fruit and vegetables, I have my favourite “egg man”, and there’s even a stall where I find some pretty decent muesli (granola) that’s not overly processed or sweetened. 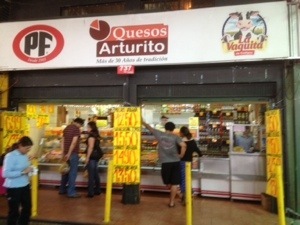 There’s a couple of good “deli’s” too, and Quesos Arturito seems to be a favourite with both locals and foreigners in the know, stocking a wide range of produce at a fraction of the price of the popular supermarkets. I’ve been know to buy the exact same brand of cheese in La Vega for one-third of the price on the major supermarkets. 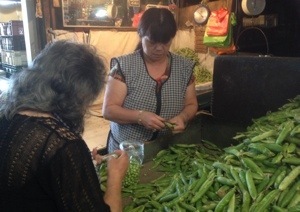 I love watching the seasons change through La Vega and, although you can get a lot of products all year round, you can tell by the price and quality what’s really in season and at it’s best. In addition to the previously mentioned berries, melons are in abundance right now and are so cheap, and make a good, refreshing juice is you overstock, and there’s lots of great corn, tomatoes, cucumbers, zucchinis, etc. Although some days I don’t feel like facing the hike to La Vega, I am always glad I did it, and I don’t think I will ever get sick of the colours, variety and faces of La Vega. Clearly, one of the things I love about living in Chile.